Welcome to the Manitoba Youth Angler website! Success on Lake of the Woods! Make fishing part of your life! 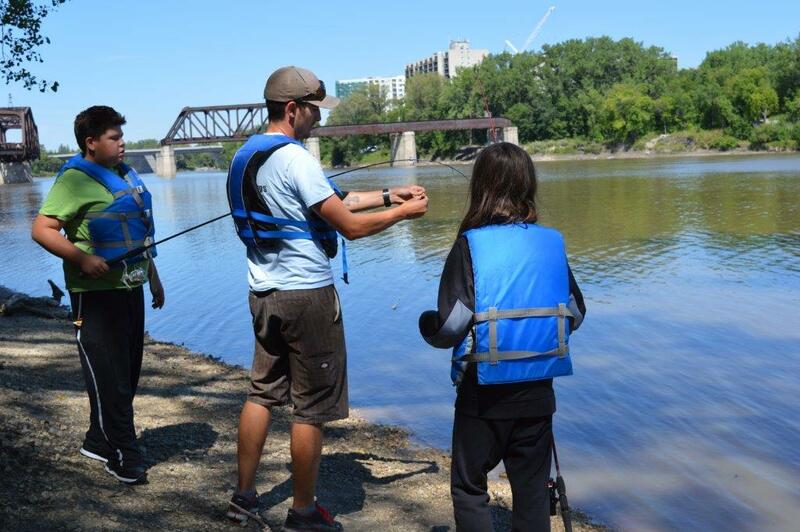 Young anglers from the Fish Winnipeg program fish at the Forks! Showing off a nice silver bass! 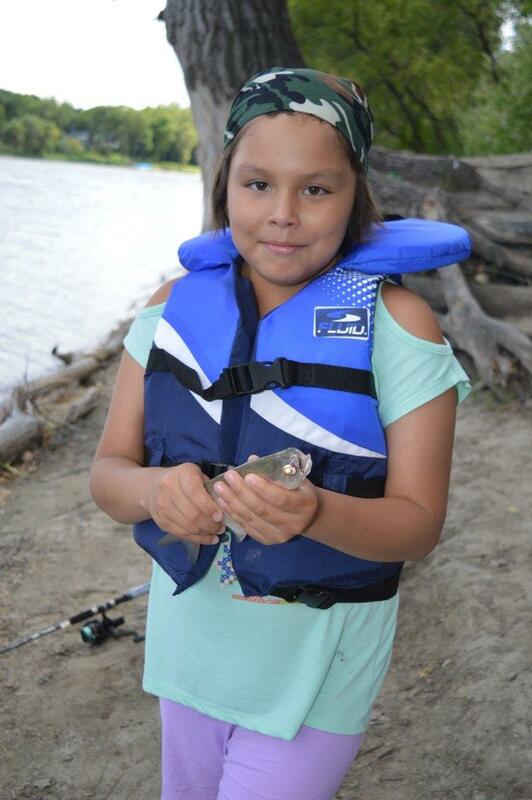 Great action this summer for Fish Winnipeg participants! With gorgeous weather and stable water levels, Fish Winnipeg participants have enjoyed a banner summer. Jared Williamson, who took over the program this year, says they have been full in every session. In July 200 youth participated and the program runs until the end of August. Fish Winnipeg has provided a summer full of fun for over two decades. Special thanks this year to the Manitoba Lodge and Outfitters whose grant helped us purchase rods and reels for another two years. 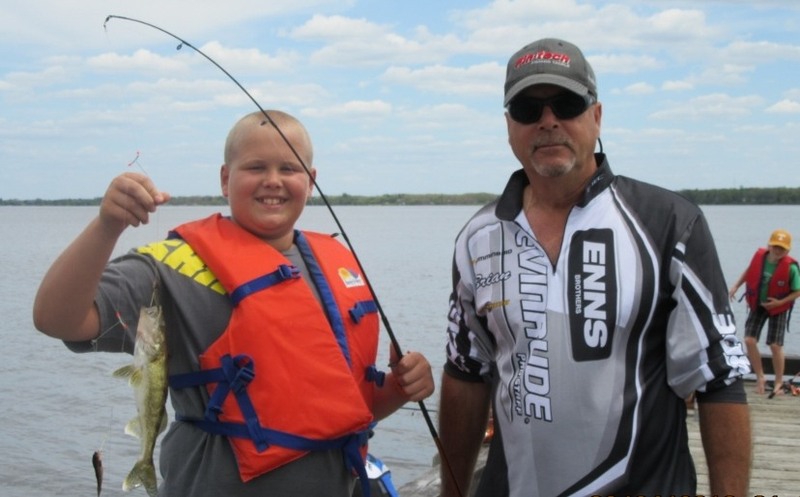 This program takes out youth fishing who would never have had the opportunity. Fish Futures Inc. and The Complete Angler. Groups are picked up and dropped off by a guide at their neighbourhood community centre. open to all youth, providing a structured environment. Fish Winnipeg has won numerous awards during the more than twenty years it has run. Year 8 in Lac du Bonnet! 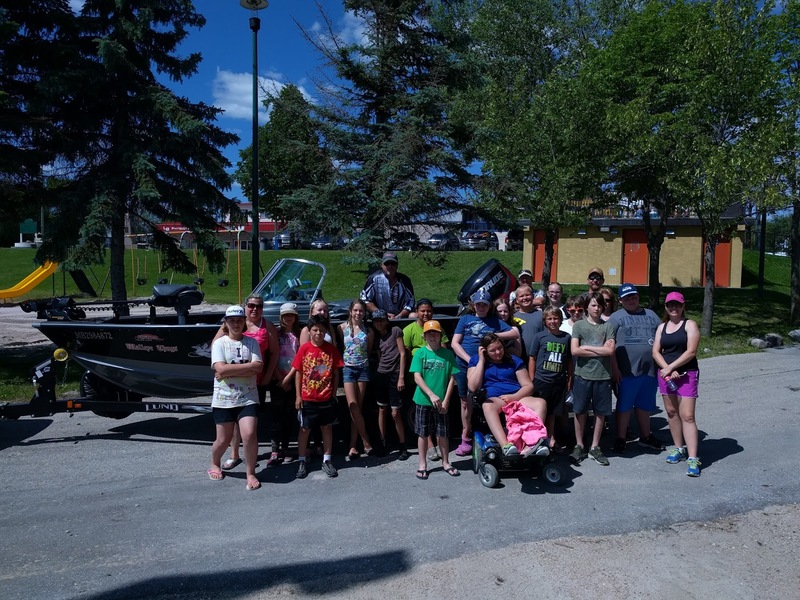 It was a beautiful day as 22 students from Centennial School enjoyed a day on the town dock in the community of Lac du Bonnet.It was the 8th Annual Reel Solutions for Youth program, organized and hosted by the Lac du Bonnet Wildlife Association. Lee Murray, Eastern Region Fisheries biologist and Professional Angler Don Lamont shared angling information and fishing stories for a couple of hours in the morning. Local angler Brian Jack, a retired RCMP officer then went through boat safety. After a hot dog lunch provided by the group it was a hot afternoon of fishing with a number of fish caught in one and half hours including bass, walleye & pike! Everyone had a great time on a beautiful Lac du Bonnet day. Special thanks also to the Gear Up program for providing the equipment to the young anglers. Congratulations to Liyah Kleinsasser of Crystal Springs, MB for her 1st place artwork Master of the Drum. Liyah received $300 in cash, a rod and reel, fishing tackle, and the bonus iPod Touch 16GB. 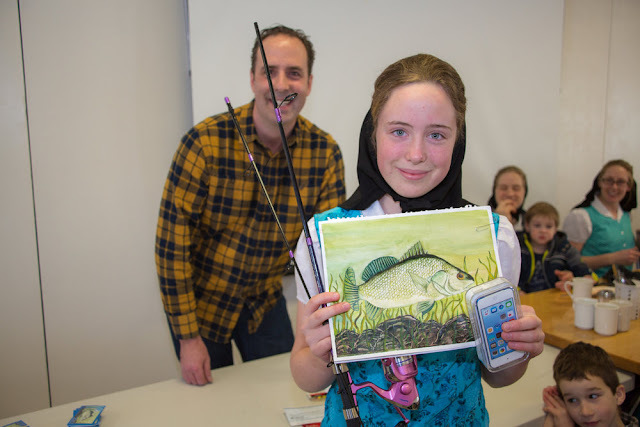 You may recognize Liyah as the 1st place winner in the 2015 competition with her drawing of a lake trout. When we visited her school, we saw other examples of her artwork including pottery, cut-wood pictures and furniture. Liyah is quite skilled with a number of techniques and shows a real artistic flair. Great work and good fishing! 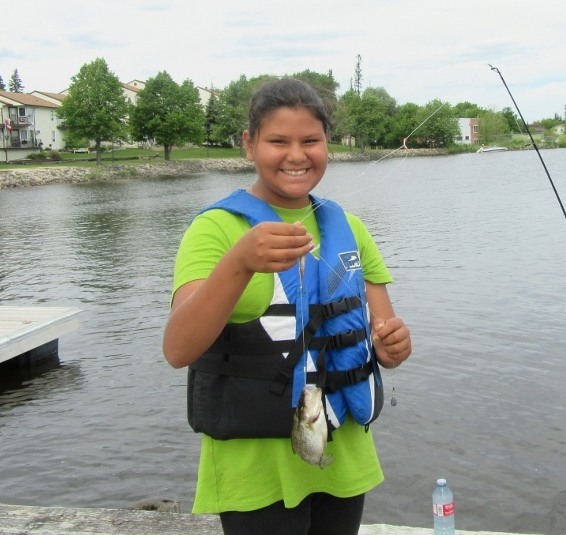 Fish Winnipeg program gets boost from members of the MLOA! Great news today from Paul Turenne, Executive Director of the Manitoba Lodge and Outfitters. 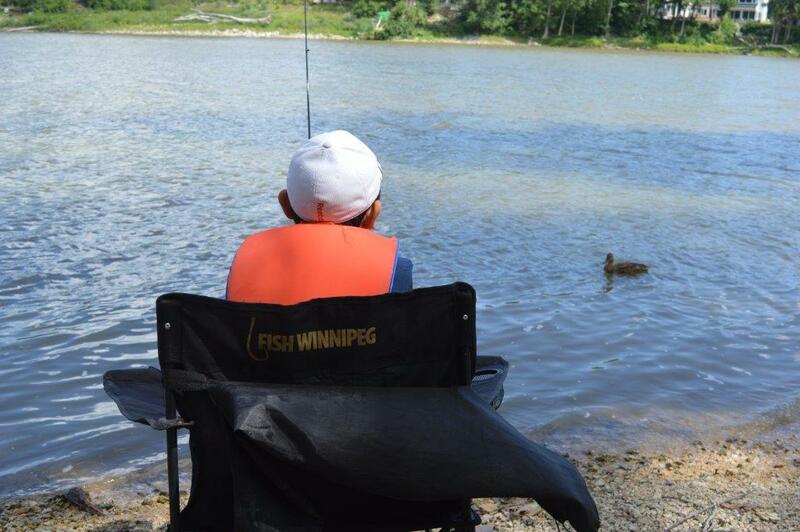 Fish Winnipeg received a grant of $2000 to buy rods and reels as part of its ongoing program to take a kid fishing. 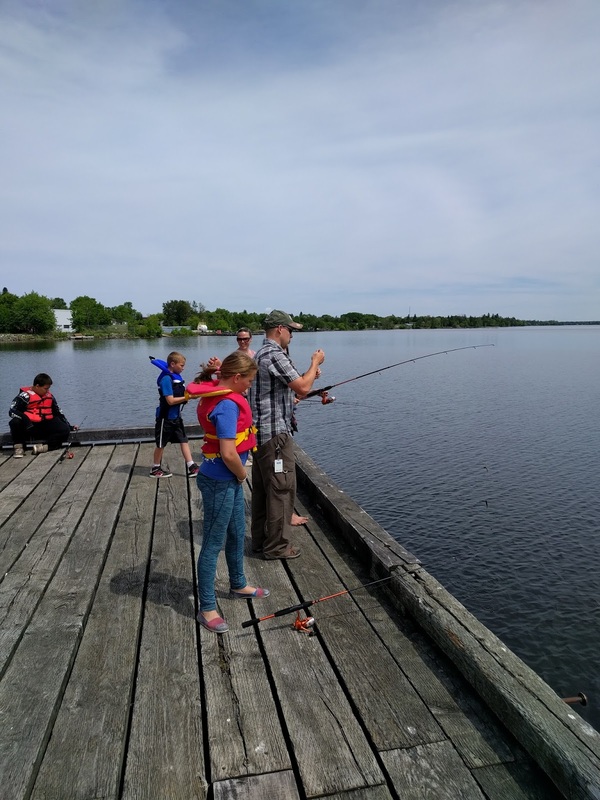 More than 500 young people sign up every summer at various recreations centres around the city to go for a half day fishing. These young people are picked up in the Fish Winnipeg van and get to fish a half day from the shores of either the Red or Assiniboine River. At the end of the day each one goes home with a rod and reel, in order to continue their fishing careers. This money from the Hunter and Angler Preservation Fund will go directly into purchasing those rod and reel combos for the next two years. This program is administered by the City of Winnipeg and would not be possible without their support. On behalf of the Fish Winnipeg committee thank you Paul Turenne and members of the MLOA for your support. 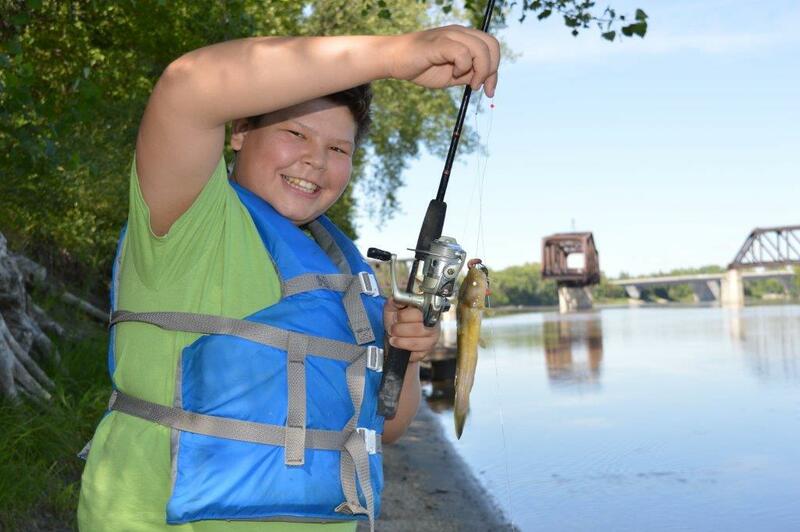 "A Summer Full of Smiles and Fishing"
this summer's Fish Winnipeg Program were saying. It was a hot sunny day June 24th as 18 students from Centennial School enjoyed a day on the shores of the Winnipeg River in the community of Lac du Bonnet.It was the 7th Annual Reel Solutions for Youth program, organized and hosted by the Lac du Bonnet Wildlife Association. Derek Kroeker, Eastern Region Fisheries Manager, and Professional Angler Don Lamont shared angling information and fishing stories for a couple of hours in the morning. 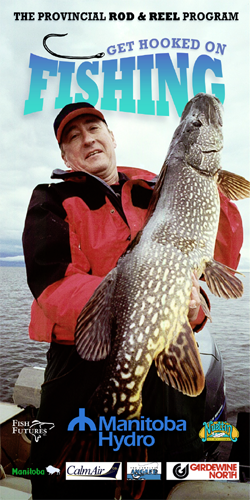 Local angler Brian Jack, a retired RCMP officer then went through boat safety. After a hot dog lunch provided by the group it was a hot afternoon of fishing with a total of eight fish caught in one and half hours including rock bass, walleye & pike! Everyone had a great time on a beautiful Lac du Bonnet day. Special thanks also to the Gear Up program for providing the equipment to the young anglers. 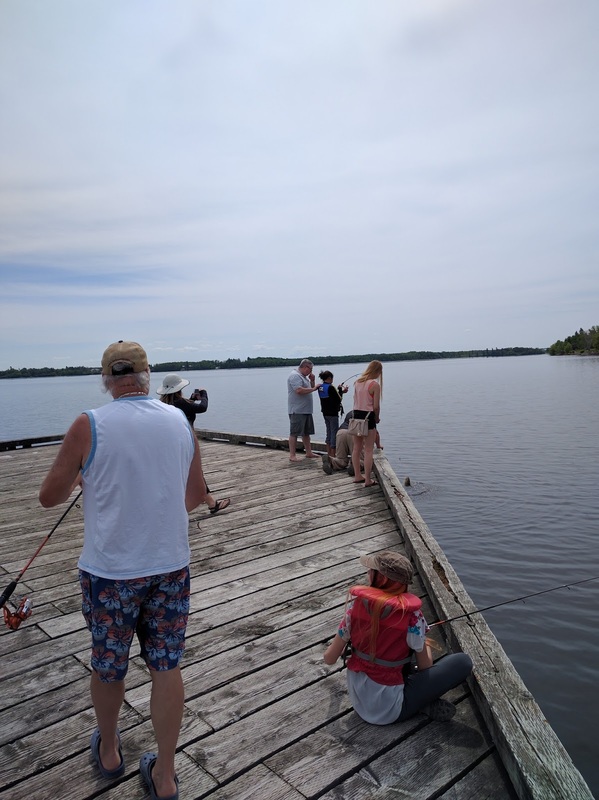 On Friday June 3rd, 24 students from the Miles Macdonell Angling Club braved high winds and a forecast of rain to take part in our 7th annual Buckeyes Fishing for a Cure derby. The day started off with a slight drizzle and the fish were being cooperative right from the starting signal and first cast after 9am. The Miles Mac students caught, measured and released 32 fish during the derby. These were low numbers in comparison to past years due to the low water levels. The students fished throughout the day, and through some heavy rain, but their spirits remained high. 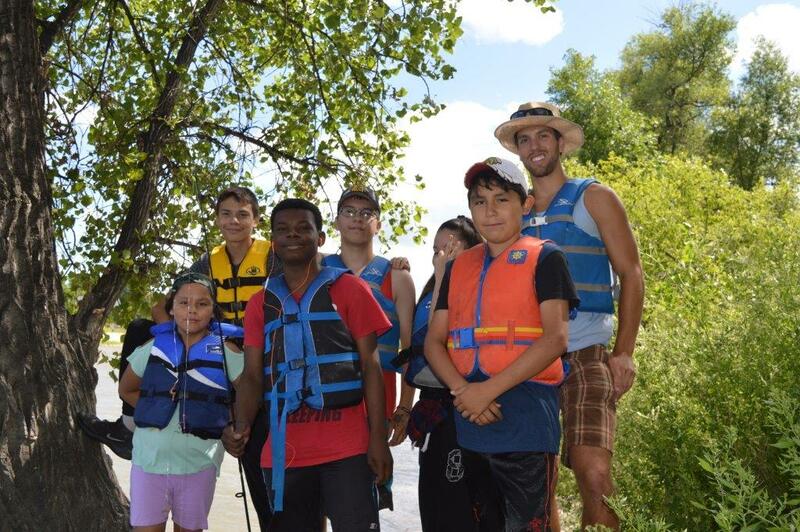 A big thanks to the students as they cleaned the riverbank 1-2 times per week in May on the Red River in Lockport and packing garbage bags full of litter. It was a great educational piece for the students, to see how through their efforts cleaning, the riverbanks can look much different from when they first arrived. It was also educational to see the impact of returning to their fishing spots to see more litter left behind. 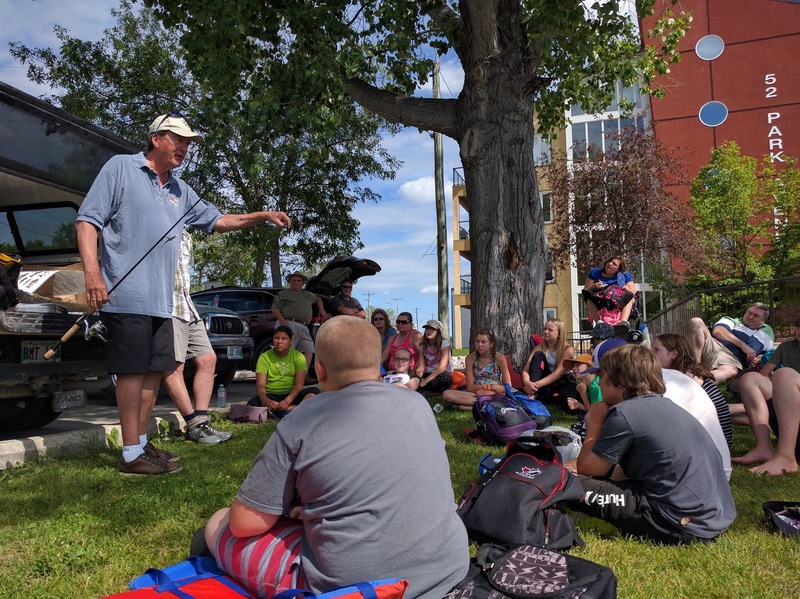 Our program began with weekly classroom sessions held over the lunch hours which involved topics about the environment, water stewardship, conservation, Manitoba fisheries and species, as well as the economic and environmental impact and concerns that recreational fishing has on our province. We interacted with guest speakers such as Mr. Graeme Smith, a Natural resource officer with Manitoba Conservation. Mr. Smith educated us on some of the new regulations in place this year as well as how our government was able to dedicate an area by Lockport as a special Pelican sanctuary. We have learned as a group, about some of the dangers of used fishing line left on the shores and how it could harm or cause death to these majestic birds. The students were excited to put forth all of our knowledge that we learnt in the classroom and spend two evenings a week from the beginning of fishing season until the first week of June fishing, building new relationships, and enjoying the great outdoors. 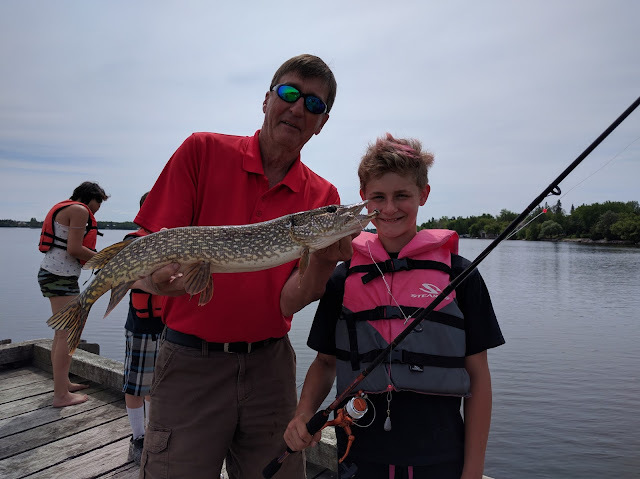 We caught and released walleye, carp, bullhead, freshwater drum, goldeye, channel catfish as well as a unique catch from the Red River, a Lake Sturgeon. When one of our students caught the Lake Sturgeon, a boat of Fish biologists from the University of Nebraska witnessed our catch and came by to inspect the fish. We were able to watch the biologists care for, tag, and insert a tracking device into the Sturgeon. As we conversed with these grad students from down south, they shared with us briefly the channel catfish study that they are currently doing, tracking the movement patterns of the channel catfish. They shared that some catfish that they caught and tagged in Grand Forks, ND were recaptured in Lockport, MB. In addition to catching fish, and cleaning the riverbanks, our club dedicates our derby to fundraise for a special cause. Together, we used our power as a group to fundraise and give back to charities in need. 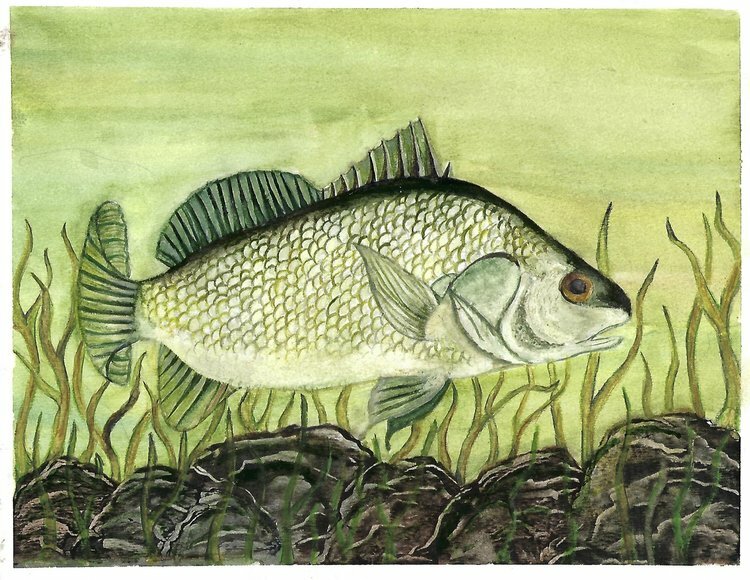 Our mandate in our club was for those who were able to, to seek pledges from friends and family for the amount of fish caught during our derby. This year, we raised over $1500 with our annual Buckeyes Fishing for a Cure derby. Our club will be donating a portion to the Kids Fishing for Cure foundation (Cancercare) as well as a few other charities that we will be deciding upon as a group. David Livingstone has a new angling club! Winnipeg has another school angling club. Teacher Michael |Kubas has an enthusiastic group of Grade 7 and Grade 8 students at David Livingstone Community School. The school opened in 1922 and consisted of 11 rooms. Additions and alterations occurred in 1956-58 and 1968. A single story addition was constructed to the north of the existing building which included kindergarten and nursery spaces, library, art room, gymnasium and administrative spaces. David Livingstone School is located in its original spot just off the heavy Main Street traffic and busy Selkirk Avenue. That also makes it a short journey to St Johns Park. Kubas and his angling club will be fishing there every Wednesday after school after the season opens in the middle of May. In the meantime Kubas is getting his kids introduced to this great life long pursuit. 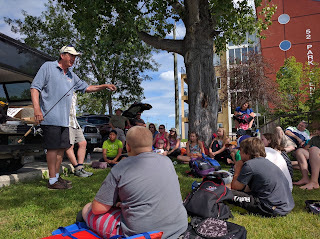 This past Wednesday Angling Educator Don Lamont spent an hour in the school’s library with the students going through a wide range of topics including fish biology, equipment and proper handling. They also received a youth angling card for 2016 and latest copy of Hooked Magazine. Thanks for the shirt. I will wear it proudly! Manitoba Youth Angling Art Card presentation hits the road!